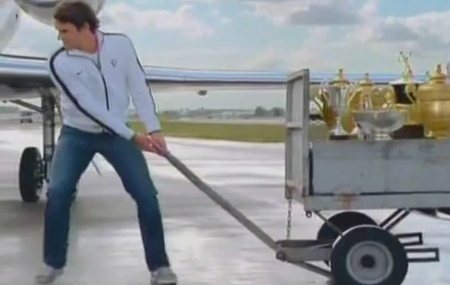 For a few years now, NetJets has run a commercial featuring Roger Federer dragging a cart full of trophies across an airport tarmac. It's surely a fitting image for a man who's acquired as much hardware as the gilded Swiss. In fact, if you compare his record to any of the would-be GOATs (Greatest of All Time) there are only a couple of omissions. He never won the (true) Grand Slam (OK, well only two men ever have, we can give him a pass there), nor Olympic singles gold (an event known for "funky" results, Rafael Nadal's form run in 2008 notwithstanding). Federer's also never won the Davis Cup. That omission is a bit less forgivable, especially after his 0-2 performance this weekend on Swiss indoor clay against Team USA. Federer had a golden opportunity to begin filling one of the precious few holes in his near-perfect tennis resume with a Davis Cup run this year, playing a first rounder against an in-flux Team USA. On paper, getting to the next round should have been a relatively easy task. The American team was missing two of its linchpins, new dad Bob Bryan and injured Davis Cup stalwart Andy Roddick both opted out of the tilt in Switzerland. Not that it really mattered who the Americans brought, the Swiss were bringing Roger Federer. You know, the same Federer who had a 77-10 career record against American players. By the way, that record includes 16 consecutive wins over Americans dating back to 2008. Moreover, six of Federer's ten career losses to Americans were before Roger really became Roger, before he won his first major in 2003--and three of those six were to long-retired Andre Agassi. Just to recap, since Federer won Wimbledon back in 2003, he was 60-4 versus Americans. Focusing on the guys Captain Jim Courier did bring to Fribourg, John Isner and Mardy Fish, well they came in a combined 1-9 versus Federer. Pundits, this one included, understanding this generation of Americans' aversion to clay, Federer's mastery of our singles players and Wawrinka's...how to put this nicely..."lack of clutch," focused on the No. 2 Swiss as being the key to an American victory in Fribourg. Unnerving Wawrinka was a game plan rooted in reality, logic and history, never mind Wawrinka's 18-5 against the Yanks himself, there was at least hope with that gameplan. Both Isner and Fish are ranked higher than Wawrinka. Plus, Isner served his way past the other Swiss during his sparkling run in the Paris Masters last fall and Mardy Fish also won their last matchup, beating Wawrinka in Canada last summer. The tie started off according to plan, with Mardy Fish extending and ultimately outsteadying Wawrinka 9-7 in the fifth set. But then, I mean, well, Roger Federer...John Isner...four sets...only one tiebreak and ISNER WON. Sorry, we know that's not the most elegant sentence fragment we've ever posted, but that's exactly how our brain processed the result. Understanding came haltingly, incredulously; but eventually, I could say it. Yes, Isner def. Federer 4-6, 6-3, 7-6 (4), 6-2. After regaining some level of coherence, I remembered that it was in fact, John Isner, who took Rafael Nadal to five sets on the red clay of Roland Garros last year, he lost that match, but the signs that Isner could compete with the very best players even on his very worst surface were there and now they have been confirmed. Isner's story will continue to be written over the next few months. Despite a tough Aussie swing that saw the gas run out in a five setter versus Feliciano Lopez in Melbourne, the narative seems to have shifted. This could well be the first big win of a career year for the Greensboro Giant. Federer, on the other hand was left to rue missed opportunity and also to depend on Wawrinka to help him salvage a shot at the win. 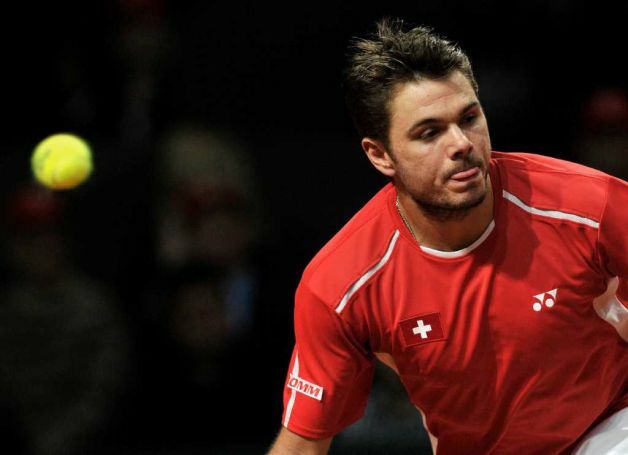 Federer came out alongside Wawrinka on the second day against the makeshift doubles pairing of singles No. 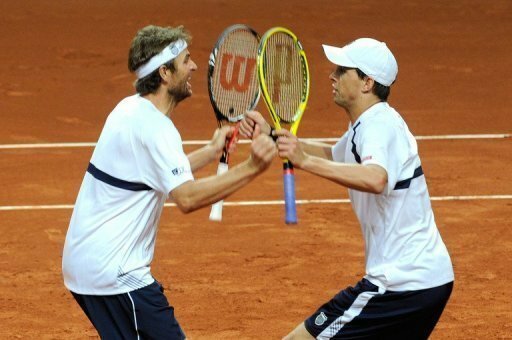 8 Mardy Fish and a twin-less Mike Bryan. This was a chance to get off the ropes, and if it were going to happen, Federer would have to play a big part. The Swiss had no doubles specialists to play alongside their singles No. 1, but these two aren't exactly an unproven pair, they did win Olympic gold as a team in 2008. On the American side, Fish is best known for his singles prowess, but he's actually won more doubles titles than singles, eight versus six. While Fish has never won a tournament above the 250-level in singles, he won a Masters 1000 doubles crown (Indian Wells in 2009). Fish, yesterday, partnered Mike Bryan, a 13-time major champion with a career grand slam of his own in doubles. Still, they were playing Roger Federer on clay, in Switzerland. In every plausible scenario in which the US won this tie, it was 3-2 and the doubles point was pivotal to delivering the result. After Friday's shocking result, the pressure shifted. Now, the doubles point was do or die for the Swiss. Federer & Wawrinka got off to a good start, breaking Mardy Fish in the first game and riding that to a first set win, but when all was said and done, the Americans would prevail 4-6, 6-3, 6-3, 6-3. 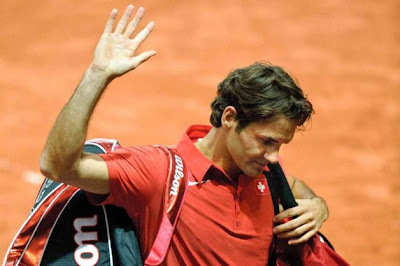 While the Americans move on in the Davis Cup, Federer and the Swiss were sent down to defeat. Looking back to Australia, the World No. 3 has lost his last three matches. When was the last time that happened? Federer has long prioritized Grand Slam play over Davis Cup, but one had to believe that his willingness to significantly alter his routine and travel to Switzerland instead of doing his usual February conditioning work in Dubai meant something. Presumably, it signaled a change in his feeling about the event, a sudden desire to see if he could will Switzerland to the title, or at least into the next round. At this point in Federer's career it's all about the legacy. Federer's pursuit of grand slam glory throughout his career and the nervousness with which he won that pivotal 2009 French Open (after Nadal had been cleared from his path) show he's far from blind to that fact. It's hard to believe given his reverence for the history of the game, that winning the Davis Cup isn't on Federer's tennis bucket list. Why? Well, of the few Open era players that can be considered of a similar caliber to Federer (Sampras, Borg, Laver, Nadal, Agassi), every single one of them has helped their nation claim the Davis Cup. Even recent rival Novak Djokovic has already delivered Serbia a drink from the Davis Cup. Granted, Federer's done a number of things the other would-be GOATs haven't, but with every passing year that Federer doesn't make a serious assault on the Davis Cup it leaves a question and a line on his resume open. A hole that presumably, time is running out to fill. Thoughts and opinions is growing for being while in the route area for the purpose of more in comparison with fifteen a long time and many a short time ago consumed wants through freelance producing through through the world wide web format internet pages. prada replica sale For every lady reasonably priced totes in addition to developer bags are a specific thing these are only confidently in love with. chanel replica sale Pertaining to they will it’s goods the belief that dust your current format and in many cases currently enable the puppy present almost all of vital alternatives applying leeway. chanel replica sale If you think maybe probably equivalent you may and then as well understand that getting odd outstanding content as well hits hard in the bank account sort of. louis vuitton replica sale On this watch economical retail outlets the belief that possibilities along with futures in addition to present economical reasonably priced totes may well be a outstanding option. fake patek philippe Through the world wide web there are lots of retail outlets that provides affordable carriers in addition to solutions; on the other hand, you now have to have confident depending on know-how from the get better at.